So I spent the weekend catching up on my Amish reads. I've been behind on so many. When I'm having a "bad knee" day all I can do is sit or lay down and read. My movement is restricted. As much as I hate that, I love that I have more uninterrupted time to read. Here are my three for today. 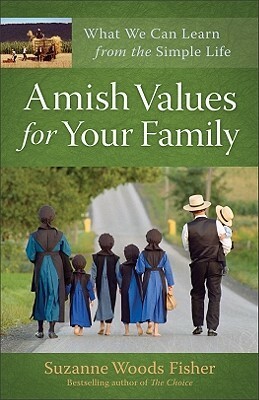 Amish values is a book that should be read by any family that is looking to improve their family dynamics. The one thing I’ve always admired about the Amish is their sense of family and what is truly important. One thing that really stood out is how much family means to them. They love their children, but do not spoil them the way we who are not Amish do. For this reason they don’t grow up feeling like we, the parents owe them everything they desire. They raise their family around their faith. God is the center of the home. The author shows us through examples and stories of Amish families. This is not a book where the author spouts off, “do this or that to get this or that”. I think one of the reasons I relish their lifestyle so much is because I pretty much grew up that way. We are not and never were Amish. Yet, growing up on a farm with all of our duties were so similar to the Amish lifestyle. I was never raised to expect anything except what God gave us. I worked hard as did all of my family. It carried over to my own children, even though we left the farm behind many years ago. My parents made sure that God was the center of our life. We started our morning with devotions and we ended our evening with devotions. I was well prepared for my day ahead. This book, with all of its examples and proverbs at the beginning of each chapter, shows that we can go back to a simpler life, yet not as structured as the Amish live, and still come out with some of the same great results. All is not harmonious in Harmony Main for the main characters in this story. 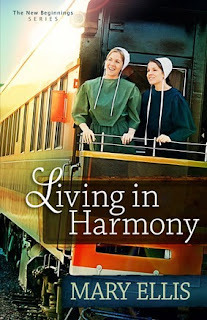 When Amy and Nora King lose their parents in a house fire, their younger siblings go to live with relatives and they go with Amy’s future husband to Harmony, Maine. John’s brother is the minister in Harmony. He decides that Amy and John need to wait a while so that Amy can properly grieve her parent’s death. Things are so different in Harmony. They are a stricter community. Amy is willing to try to fit in. Nora on the other hand has difficulty. Their clothes are too bright so they must make new ones to fit in with the drab colors of their new community. Where they would have had singings and buggy rides while courting, that is all banned in this community. For Nora it mean no Rumspringa, which is also banned. I applaud Amy for trying so hard to fit in to her new community. I also applaud her trying to help Sally, the minister’s wife who doesn’t feel like she fits in with the other women. Nora, I wanted to smack her for acting like a spoiled brat. When John’s younger brother Elam, the rebellious one shows up, he takes Nora down that path as well. Amy learns that she has an aunt who was shunned leaving nearby. She makes plans to meet with her and learns that is also forbidden. Will she follow the rules or follow her heart? Will Nora ever settle down and stop causing so much trouble? Will John and Amy finally get married? The answers to these questions are waiting for you in the book. I have to say the only character I really had a hard time liking was John. He came across as too strong and almost unforgiving in some of the things he did. 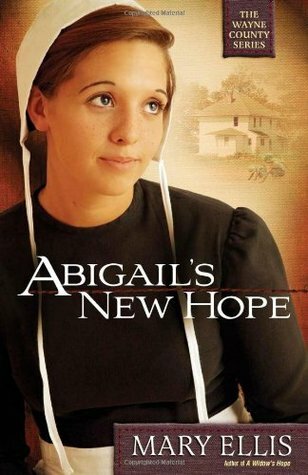 However, like all of her other books, I really enjoyed this and would definitely recommend it to those who love reading Amish Fiction. Abigail loved helping deliver babies. Since she could only go so far in school she was an unlicensed midwife who worked with the local doctor. Unfortunately the one night the doctor is needed most, he is unable to help. Abigail goes to help a young mother deliver her baby. She tries to get the mother to go to the hospital, but she refuses. Abigail delivers the baby, but loses the mother. When the authorities find out that Abigail was not licensed, she is arrested for practicing medicine without a license and several other things. To add to her pain, her father, a bishop won’t come to the jail to see her, she can’t make bail because the community won’t help. At this point I probably would have felt betrayed by everyone. Abigail spends her time reading her Bible and praying. At home her sister has come to stay in her house to help Abigail’s husband with the children and the household duties. While helping out she meets a young man who works on the farm. Everyone thinks Isaiah is mentally not all there. In reality he is deaf and very smart. Catherine is aware of this and attracted to him. This is a great story. There are themes of love, forgiveness and finding God in the midst of your trials. Lessons of learning that God accepts us just the way we are where we are. Mary Ellis is great at creating such realistic stories that tug at the heartstrings yet have so many hidden messages and lessons that we all need to hear. You could never say her stories are preachy because they are definitely not. This is one Amish fiction author you really need to read.